Cabasse is one of the elder statesmen of the French audio industry. Since its founding in 1950 it has gone on to become France’s largest speaker manufacturer and produces some extremely impressive speakers. It's perhaps best known for the extraordinary La Sphere flagship, which manages to combine some seriously clever technology with looks that make most science-fiction props appear a little conservative. At the other end of the pricing scale, it is nowhere near as easy to produce products that can double as sculptures, so the MT31 models you see here are rather more, well, speaker-shaped than their senior brethren. What is more interesting is that Cabasse claims that technology developed for La Sphere can be found in the MT31s. If this has been done well, it could be a very capable system indeed. 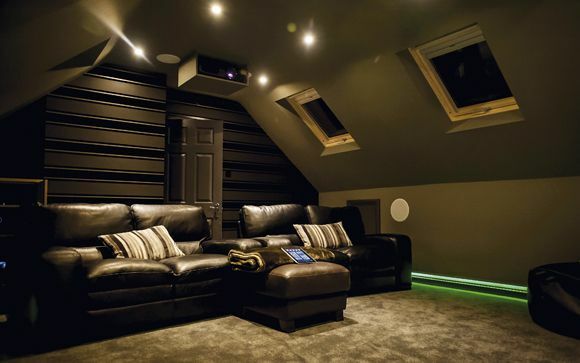 This group comprises a pair of the £800 Jersey floorstanders for the front left and right channels, with £460 Antigua standmounts at the rear, the £300 Socoa centre and £550 Orion subwoofer finishing the set. The technology in question is the DOM 37 tweeter diaphragm. This was originally developed for the three-way driver array of the larger La Sphere speakers but has been adapted for use here. Made of a thermoplastic film, rather splendidly called PEEK, the DOM 37 features a powerful magnet and is designed to offer the same performance as a tweeter that is 40 per cent larger. Meanwhile, the behaviour of the tweeter off-axis is meant to mimic the behaviour of the coaxial drivers that Cabasse favours in its more expensive models. Naturally, you will find a DOM 37 in each of the speakers in this quintet. The tweeter is partnered with a midbass driver which also appears to be a plastic of some kind (Cabasse's spec sheet reveals nothing). This comes in a 7in version (used in the Jersey and Antigua) and a 5in version used in the Socoa. The Jerseys augment this driver with a downward-firing port between the bottom of the cabinet and the plinth, whereas the Antigua and Socoa have more conventional circular ports. Tying all this together is a purpose-built crossover that also makes full use of lessons learned from the design of Cabasse's costlier cabinets, and is designed to further reproduce the experience of listening to a speaker with a coaxial driver array. The Orion sub is the relatively conventional member of the group. It pairs a 250W amplifier (that, unusually, is still a class A/B design) with an 8.25in downward-firing driver. No form of onboard EQ is provided, but there is a healthy choice of connections, including high-level inputs and outputs, that should allow it to integrate into most setups. The rear panel also provides phase, level and crossover adjustments. Cosmetically the MT31s are best described as 'good in parts'. The chromed Cabasse logo at the top of the cabinets, and the burly speaker terminals, are impressive. The use of magnetic tabs for the speaker grilles, as opposed to fiddly plugs, is a nice touch, too. However, while the fit and finish is reasonable, the decision to wrap the sides and front separately creates an unsightly join. The dark Wenge finish of our review set is somewhat oppressive (a lighter Maple finish is also available) and does highlight that this is a very big set of speakers. This applies in particular to the Socoa centre, which is no less than 38 centimetres deep and is going to demand its own shelf, or wind up with a TV perched precariously on top of it. This is, of course, one of the perils of a speaker set that uses floorstanders for the left and right pair – everything else tends to be large as well. Setup was reasonably straightforward, although the cumbersome Jerseys are supplied in a box that opens at one end, making extraction (to say nothing of reinsertion, should you ever need to package them up again) somewhat challenging. Only the centre is rear-ported and this means that the other speakers continued to perform normally even when close to a wall. The Orion Sub proved relatively well-behaved in both the locations I tried it, but best results were obtained with it on-axis with the front speakers. In use, the MT31s are distinctive performers with many likeable traits. Perhaps the most important aspect for Cabasse is that the DOM tweeter is a class act. These speakers manage to be detailed and open but at no stage during any listening did they ever produce a sound that could be described as harsh or forward. The result is a very grown-up performance. The low-budget silliness of Trollhunter is elegantly reproduced, with the oppressive little sounds of the forest at night well represented. The soundstage that this array produced is as huge as the vast expanses of northern Norway towards the end of the movie. Switching to the noisy mayhem of action/thriller Unstoppable shows up the downsides of the MT31s superb refinement, in that they never produced quite the same level of force and energy that I know this Tony Scott soundtrack can offer. Part of this is down to the Orion subwoofer, which is articulate but lacking in real low-end shove, and partly because in the same way that a string quartet isn’t the best tool for a Prodigy cover, relaxed refinement isn’t entirely compatible with the concept of a runaway train smashing into things. This is a shame because when it comes to the basics – keeping dialogue clear and well positioned and providing a believable front-to-back soundstage – the Cabasse system does very well. The handover from speaker to speaker is impressively seamless and the crossover to the sub is also reasonably (if not completely) imperceptible. There is simply a sense that when you need them to let rip, the MT31s can’t quite let go. It would be possible to choose a more aggressive and powerful subwoofer but the whole tonal balance of the system is such that even when events onscreen demand mayhem, the MT31s are producing a version that is slightly detached. The upside of this is that the MT31s are probably best seen as speakers for adults. The performance they put in is rarely anything other than rich and immersive, even while lacking the final attack and impact that allows some of the completion to be more ballistic when asked. They are pleasantly musical both with surround pieces and in stereo, and manage to bring that same agreeable tonality to most genres of music. Your armoury of CDs is certainly in safe hands here. This civility has another positive side, in that the Cabasses are extremely easy to listen to for long periods. I use the surround speakers in my system all the time, and on occasions some of the more event-driven packages can be slightly wearing – the MT31s were fine to use in this manner, and proved forgiving of some of the less beautifully mastered ends of the satellite dial. So, this is a slightly curious system overall. The size of it suggests that it is built to rattle your fillings and provide a sensory overload. Instead you are treated to a detailed, open and unfailingly refined performance that never gets harsh or unforgiving. If you are looking for a set of speakers that will provide a consistently engaging performance – and be as happy providing a boost to Strictly Come Dancing or music platters as they are underpinning your movie night – then they are worth checking out. The competition around this mark is fierce, though, and there are packages from rival companies that offer nicer aesthetics and more excitement from cabinets that are easier to accommodate.